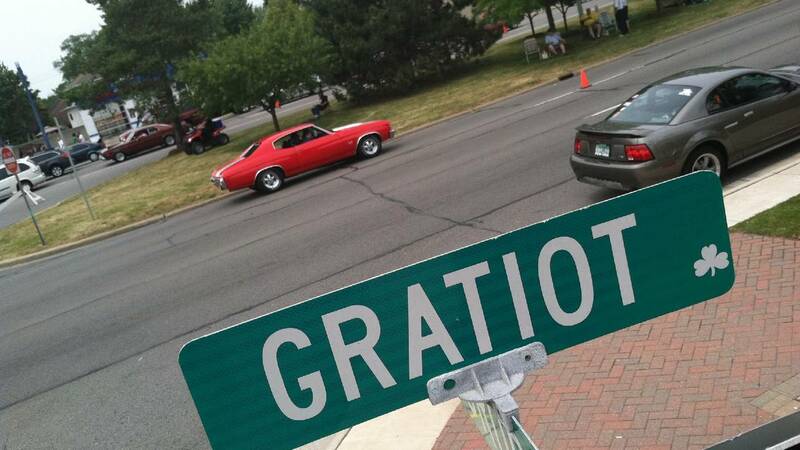 EASTPOINTE, MI - Cruisin' Gratiot isn't just a car cruise. Now in its 15th year, Cruisin' Gratiot is a week long celebration with a little something for everyone. The cruise day is on Saturday, June 15 but car shows start Tuesday at Cloverleaf Restaurant at 4 p.m. These car shows will occur the rest of the week with the last one on cruise day. They will all be in Eastpointe at various locations: Wednesday's will be held at First State Bank, Thursday's at Villa Restaurant, Friday's and Saturday's at East Detroit High School. If you go to one of these shows, you can expect beautiful classic cars, music, gas card giveaways (which will come in handy with gas over $4.00 a gallon), and trophies. The best part is it's all free and any donations go straight to local charities. Cruise day stands out with a unique feature. Cruisin' Gratiot has the only car cruise in Michigan with MDOT-approved special lane for cruising. The price tag for the special lane sticker is $15 pre-cruise day and $20 the day of. "The cruisers love this because many of the classic cars can overheat and this gives them an easy entrance and easy exit from the lane," says Karen Arondoski, President of Cruisin' Gratiot, " We have many cruisers tell us this is one of their favorite things about our cruise." The festivities kick off Monday with the Cruisin' Gratiot Idol Teen competition at Cloverleaf Restaurant. 26 contestants are competing for a chance to move on to the finals Saturday at 3pm. The top prize is $1000 so singers come from as far away as California to compete. We know you're going to be taking pictures of all the sweet rides at Cruisin' Gratiot so why not share them with the world? Use the hashtag #CruiseTheD on Twitter or Instagram and follow @CruiseTheD on Twitter for all your latest classic car & cruisin' news.